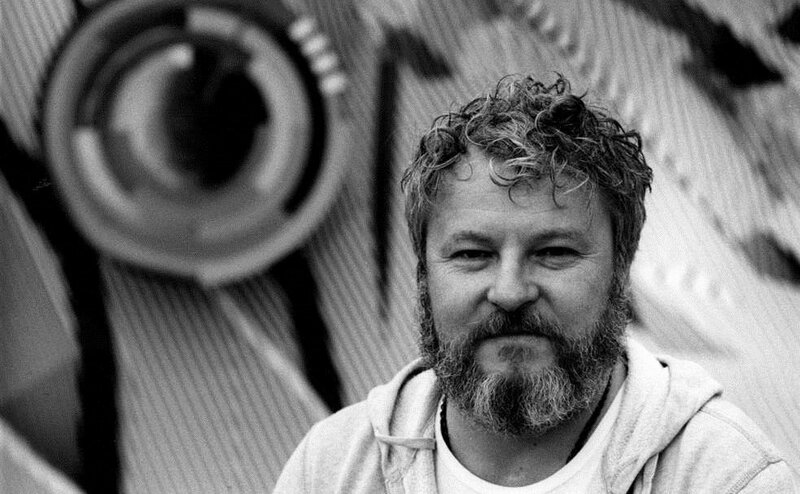 Tobias Rehberger (*1966 in Esslingen am Neckar, lives and works in Frankfurt am Main) ranks as one of Germany’s most important contemporary artists – a reputation cemented by his prize-winning redesign of the Bar Caffetteria in the gardens of the 53rd Venice Biennale. His œuvre is characterized by the use of a wide range of media and the combination of disciplines such as painting, sculpture, design, graphics and architecture. His space-encompassing installations and the objects he creates for specific interior or exterior locations are often not only aesthetic but also functional. Viewers find themselves transported into unusual, brightly coloured environments with which they are invited to interact. A blend of high and low culture interferes with the ordinary perception of reality. Rehberger adapts modernist artworks and design classics as well as mundane objects, transposing their alienated form or unaccustomed materiality to a new context. Rehberger has created many works for public spaces, for example as part of the «Skulptur Projekten» in Münster and at the Staatsbibliothek in Berlin. His works have been included in major group exhibitions as well as in extensive one-man shows in such international institutions as the Schirn Kunsthalle in Frankfurt am Main in 2014, the Stedelijk Museum in Amsterdam in 2008, the Museo Nacional Centro de Arte Reina Sofia in Madrid in 2005 and the Palais de Tokyo in Paris in 2002. Both the Fondation Beyeler and Vitra have close ties with Rehberger – firstly because of his artistic approach and secondly because of various exhibition projects and other forms of cooperation. Rehberger studied with Thomas Bayrle and Martin Kippenberger at the Staatliche Hochschule für Bildende Künste, Städelschule, in Frankfurt am Main from 1987 to 1993. He has been a professor of sculpture at the Städelschule since 2001, and also served as its vice dean until 2015.